Gutter guards relieve you of the dirty, awkward responsibility of cleaning out the gutters—a seasonal task that many homeowners dread. Cleaning out gutters is nobody’s idea of fun—it’s dirty and awkward, and it’s dangerous if you’re working high on a ladder. 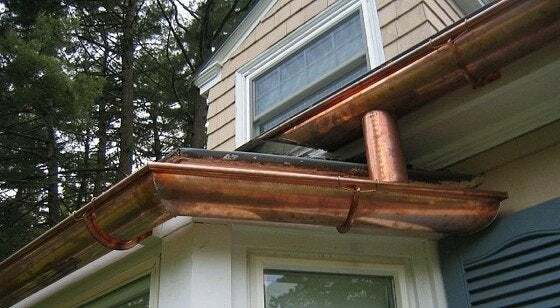 So it’s no wonder that homeowners look longingly at gutter covers, screens, and other systems that claim to relieve them of the task. These systems fall into two general categories. There are permanent installations of covered gutters, which use surface tension to pull water in while shrugging off leaves and other debris. And then there are screens and guards that can be installed on existing gutters to keep all that junk out and the water running freely. The surface tension models are expensive, but they have the advantage of being a one-time cost backed by a lifetime guarantee. If they do clog, the guarantee should cover any necessary clean-out or repair. They work well, although sometimes they overflow during an extremely heavy downpour (as all gutters do). Guards that cover existing gutters are less expensive, and they’re an especially good choice if you have wooden gutters, which are susceptible to rot from the buildup of leaves and other debris. But they’re not foolproof, and some debris can work its way in. If you’re considering a screen system, start with placing guards right over downspout holes (where a clog can do the most damage) or on sections of your gutter that are directly underneath trees that shed leaves and needles.